In the history of architecture, engineering and design, it has always been a challenge for those not trained in reading blueprints to make the leap from what is on the page to what the end result will be. How will employees work near each other without impeding the flow of work? Will adding one more piece of furniture or equipment be too much? How much daylight will be in the space? These and other questions were typically very difficult to envision. 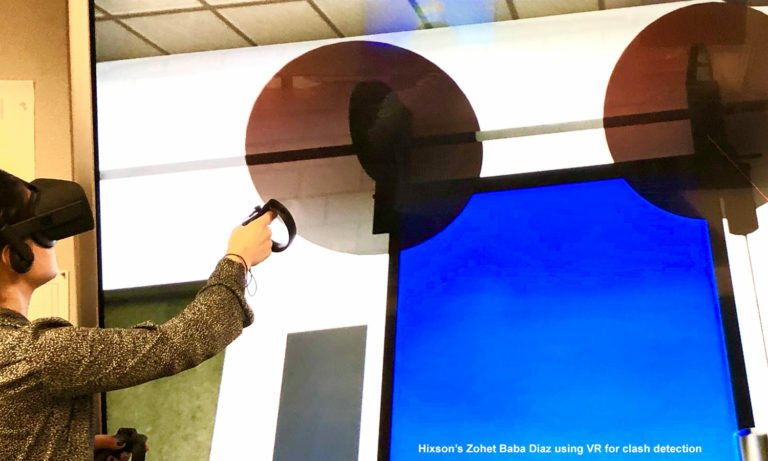 Today, Hixson combines Virtual Reality (VR) technology with 3D software such as Revit® to help our clients “see” how their projects will look and operate when completed. Taking a virtual walk-through of a facility, clients get a sense of spatial awareness – how the facility will look and feel for the user – and even ergonomics. Using VR also improves workflow and design coordination through improved visualization between contractors, sub-contractors, and Hixson, streamlining clash detection, optimizing collaboration, and reducing the likelihood of costly delays.